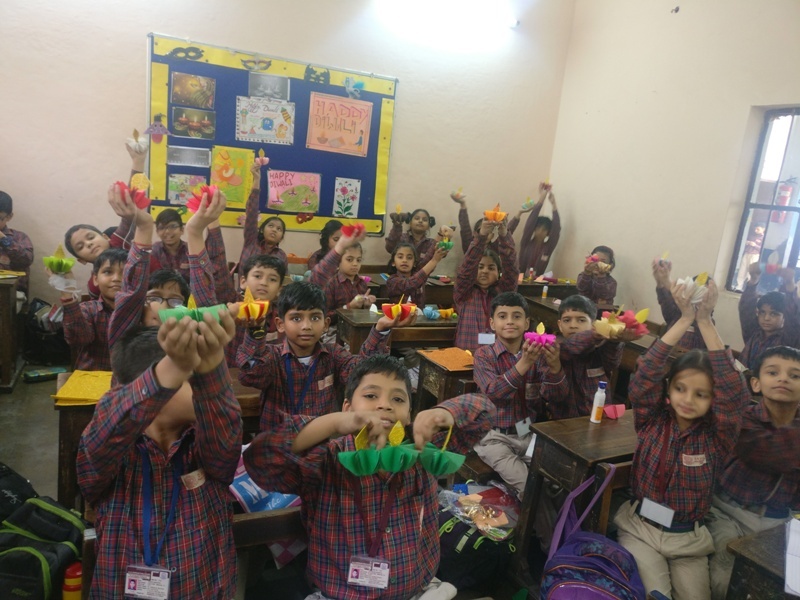 The junior wing of DAV Centenary Public School, Paschim Enclave celebrated the festival of lights–Diwali, with full zest and zeal. 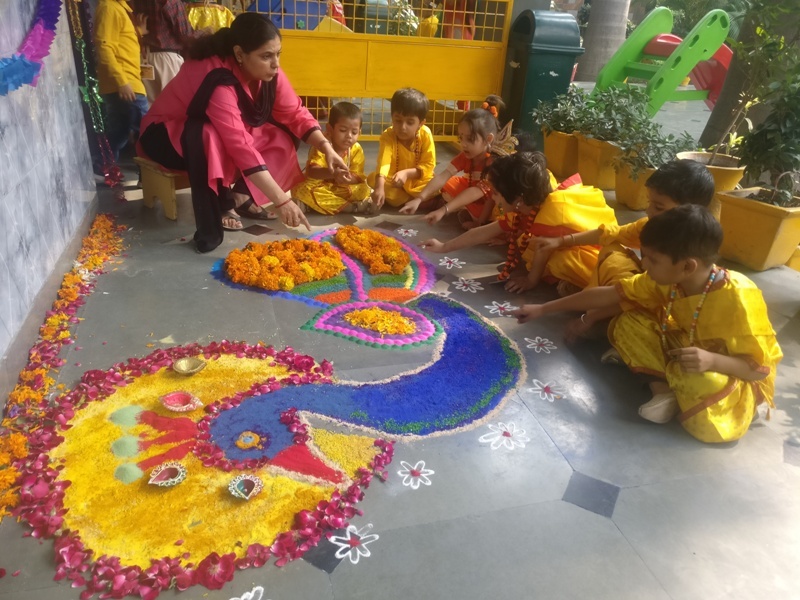 The school premises glistened and gleamed under the glow of earthen lamps and colourful rangolis, as everyone soaked in the spirit of festivity. 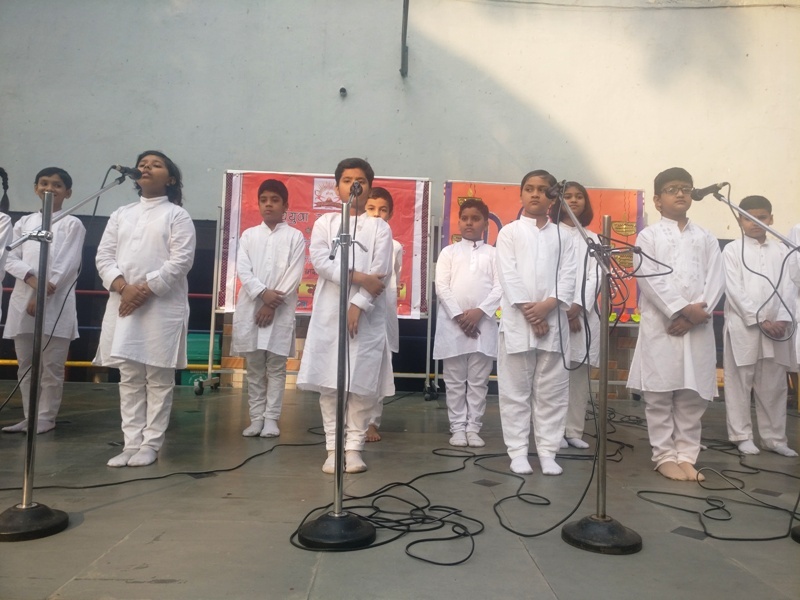 The students enjoyed multifarious activity, a special assembly was also held in the school lawn where in the school choir mesmerized everyone with a melodious song befitting the occasion. 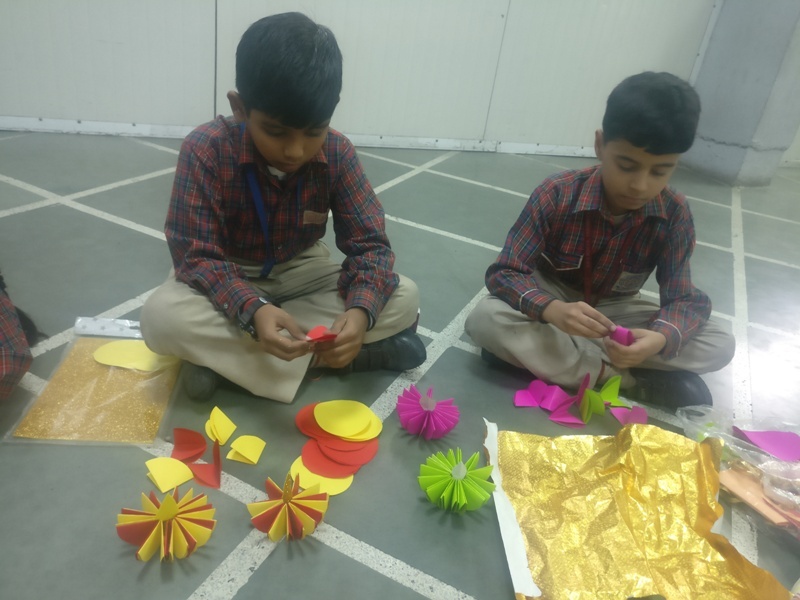 Apart from this, the students of Classes III and IV also presented an entertaining but informative skit emphasizing upon the significance of celebrating an ‘Eco–Friendly Diwali’ by highlighting the hazardous impact of bursting crackerson our planet. 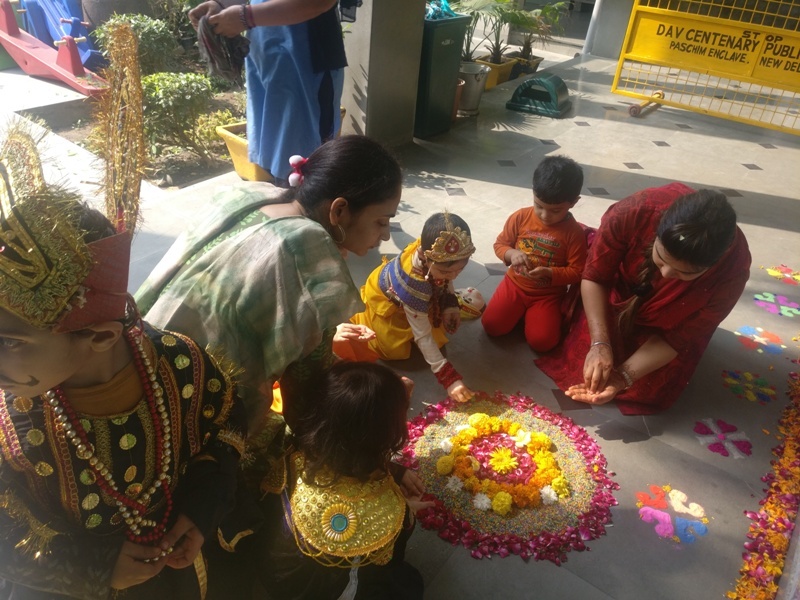 Ms. Usha Gupta, the supervisory head of the junior wing, applauded and appreciated the efforts put in by the students and the teachers alike in making the celebration a great success as she herself encouraged everyone to celebrate an eco-friendly and safe Diwali.